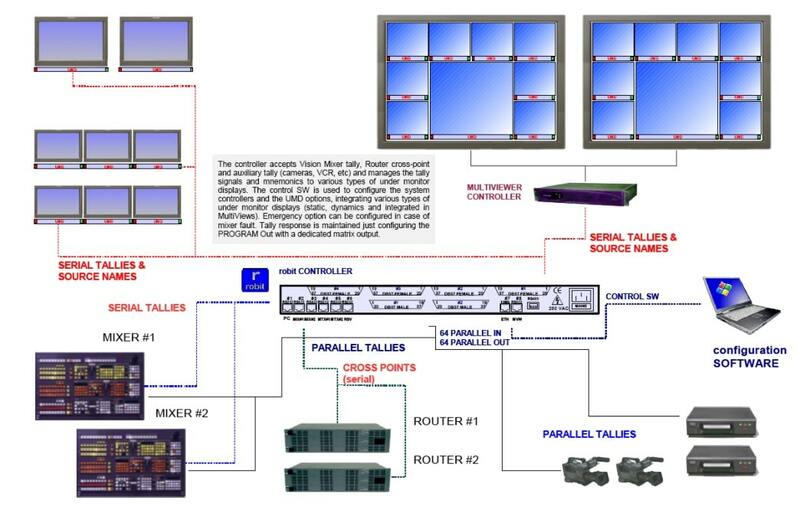 Tally System Controller collects information from signal routing and mixer and operates displays and tallies as directed by its internal configuration information Software operated with an easy graphical interface just to configure the controller. Multi-image & Multiviewer interface available. 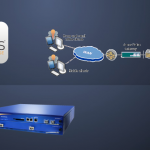 By interfacing with Robit’s UMD controller, the control room will be able to provide users with dynamic UMD and tally capability, enhanced connectivity and ease of updating protocols when needs expand. Robit’s UMD controller collects information from signal routing and mixer and operates displays and tallies as directed by its internal configuration information Software operated with an easy PC interface just to configure the controller. Robit UMD controller provides the customers with the capability of fully integrating Leitch routing, master control and multi-viewer applications with third-party equipment in a dynamic platform. Robit controller provides immediate support for dynamic UMD and complex tally control based on all widely deployed routing switchers, master control/presentation mixers and production switchers/vision mixers. Robit controller provides also new software drivers to achieve compatibility with new third-party products in development. This advantage the customers, because there is no need to know in advance the exact model of every piece of equipment our customers will need to support; Robit UMD controller has the flexibility to be reconfigured in the field with minimal effort. This Robit solution delivers a strong improvement in operational usability through the consolidation of video monitoring and the way tally and UMD information is presented to the user.